Pastor Duncan is a wonderful pastor and an excellent and radical preacher. Pastor Duncan has won the Preachers Gospel Bowl 2 years in a row. His dedication he shows to the ministry is nothing like I've ever seen before. He spends countless days either down at the church or at home conversating with God about what's the next step for him to take the ministry. Pastor Duncan is a young talented and gifted man of God with a heavy Anoiting on his life. Pastor Duncan was giving a golden opportunity to become the Pastor over his father in-laws church. Giving this oppurtunity he stood firm and fought to keep the ministry rolling. Being of good courage Pastor Duncan attended Pastor Conferences he and his beautiful wife on a mission to uplift the ministry and build the Kingdom of God. Pastor Duncan teaches his ministry and gives basic knowledge on how to live a true and saved life that's fulfilling to God. Pastor Duncan gives his all to his church. He stands for what's right and in my opinion my pastor deserves the Best. 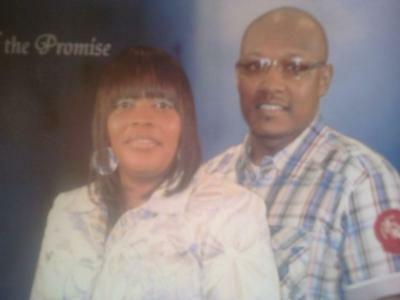 Pastor Duncan & His Wife Lady Duncan is truely Loved by The Woodlawn Word Church Family! Bro.Joesph, those words are so true i am a witness to every thing you just said, yes he is a FIRER BALL for GOD, I have been around a lot of young Pastor and I haven't seen one like him yet he is a great man of God not only that, he found a Beautiful wife that stick close to him and will not leave his side, you put them together in the word it will be a explosion.I love them so dearly and would do any thing for them as well as they will do for us at WOODLAWN WORD CHURCH. Bro. Joesph we have some winner. They Love there Members as much as they Love the CHURCH. Pastor & Lady Duncan some of us at WOODLAWN WORD CHURCH really do LOVE you guys for real.